This is a guest post by Helena Contes, from ONE’s Policy team. Neha Misra, Co-founder and Chief Collaboration Officer at Solar Sister, was trying to explain the structure of Solar Sister, the NGO she helped create—an NGO that counts Exxon Mobil Women’s Economic Opportunity Initiative, UN Women, and USAID among its partners. In response to her question, about half of the conference attendees confidently raised their hands and promptly began to chuckle at the attendees with both hands at their sides, bemusedly looking around. Surprise, surprise: Most of the attendees with a hand raised were women; those who didn’t recognise Avon were mostly men. This all took place at a Millennium Challenge Corporation panel discussion on development initiatives that promote both gender equality and energy access. …So what does Avon have to do with energy access or gender-inclusive development initiatives? Solar Sister, founded by Neha Misra and CEO Katherine Lucey, uses a similar model to Avon, direct buyer-seller relationships. This model is designed to bolster and rely on women, while promoting energy access in a gender-inclusive manner. 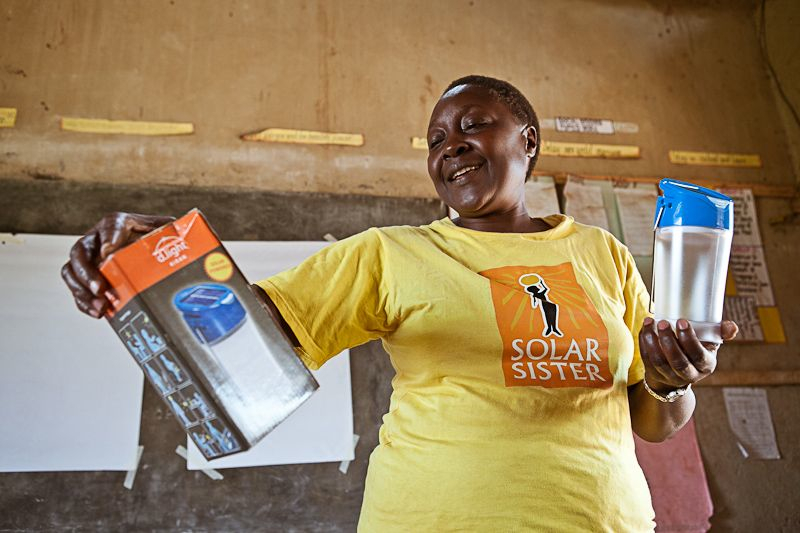 One of Solar Sister’s central tenets—and one of the reasons for its successes—is the continuous investment in its entrepreneurs’ leadership skills. Programs focusing on energy access, and especially on the intersection between access and gender inclusivity, are on the rise. 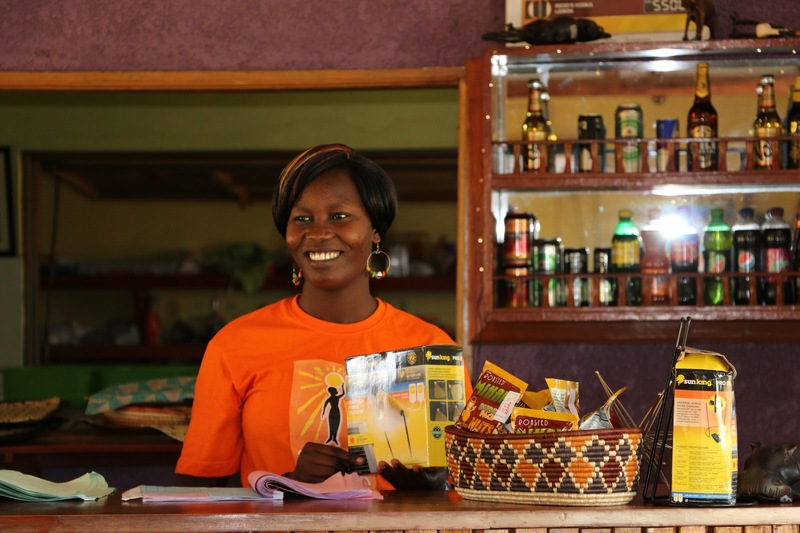 We know that increased energy access has the potential to deliver large improvements on health, small businesses, and gender issues. We also know that energy generation is the easy part; ancillary activities like distribution to poor and hard-to-reach areas or integrating new-found energy access into daily life prove much more difficult. 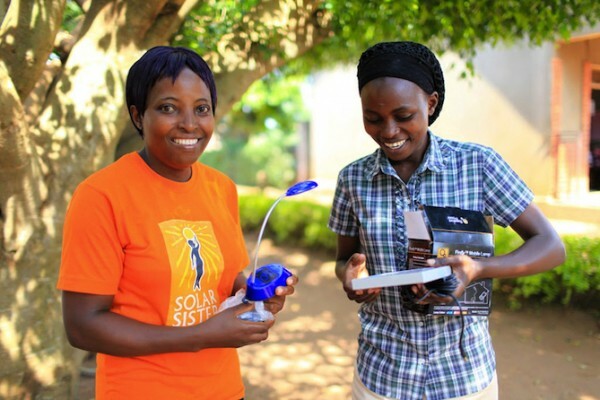 Solar Sister is working to address gender inequality through energy access, by having female entrepreneurs purchase solar cellphone charging and clean cook-stove technologies and sell them at a small mark-up to networks of friends and relatives. It’s an off-grid solution that provides both opportunities for new electricity access and economic empowerment for women. It also allows female community leaders to set the stage for better energy utilisation! Caroline Mailloux, Solar Sister’s former Director of Engagement, notes that the organisation tried many different models along the way, including microfinance and microconsignment. However, the organisation wanted a model that would support continual long-term investment in its entrepreneurs’ leadership abilities. Such a model means that the NGO is not quite self-sustaining yet: Its emphasis on women’s empowerment instead of product sales alone necessitates reliance, in part, on donor funding – for now. Engaging local actors in development programs, thereby building their economic resilience and empowering them to fully participate in the local economy could eventually remove that necessity altogether. Show your support for gender inclusivity and equality by pledging your support to the Global Goals, then read more about gender-inclusive energy programs.